Our 250 hour hot 26+2 yoga teacher training includes 31 days and 32 nights of guided yoga teacher training along with unique group travel adventures throughout sacred Indian temples, holy sites, villages and other attractions. Daily yoga, meditation, lectures, study sessions, group activities and live teaching time included. 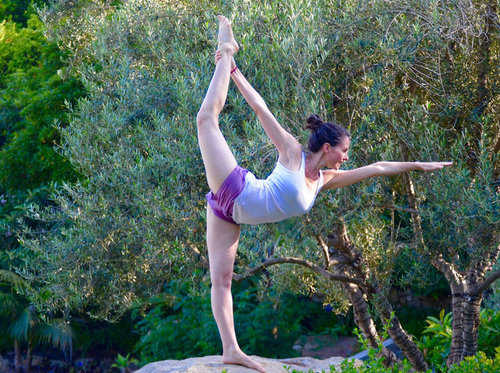 Evolation Yoga immersion teacher training programs are led by senior level yoga instructors who are passionate about yoga and dedicated to supporting and assisting you through each part of the program. Come train and explore with us in Pushkar, India for a truly memorable 250 hours of continued yoga education with daily meals, lodging accommodations, transportation and travel explorations included. Spaces are limited for this teacher training in India, send us a message with any questions or booking requests to reserve your spot. For this Pushkar hot yoga teacher training with Evolation Yoga, we will enjoy daily yoga and meditation practice as a group either inside of the newly remodeled marble-slab yoga shala or outdoors on the rooftop with 360° bird’s eye views of the Aravalli Range Mountains and surrounding Pushkar terrain. This 250hr Hot Yoga Teacher Training in Pushkar comes all-inclusive with overnight lodging accommodations at a private countryside retreat center where you will have plenty of space and comfort for fully immersing yourself and getting the most out of your training. The retreat center has private and shared room options available for this teacher training and both are filled on a first come, first served basis so send us a message with your preferred room requests to discuss getting your spot reserved with us in Pushkar. Train with Evolation Yoga in Pushkar while you naturally feed your body and mind with a daily selection of fresh vegetarian foods prepared with Indian (and some Western) cuisine style ingredients. Please let us know in advance if you have any specific dietary requests, food allergies and/or restrictions so that we can work with the chefs and plan accordingly for you. This India hot yoga teacher training takes place in Pushkar, a historic town located in the Northeastern state of Rajasthan on the borders of the Thar Desert and shores of Pushkar Lake. Transportation is included and provided from Indira Gandhi International Airport (DEL) in Dehli to the teacher training location on the first day and back to the airport on the last day as well as all other group travel transportation throughout the teacher training program. We can also help to arrange for additional nights of stay at local hotels should you decide to arrive early or stay longer. Simply let us know if you have any questions or need any help with planning your travels for this special teacher training with us in Pushkar. Send us a message if you have any questions or need any additional help with your travel plans for this training. Improve your ability to teach yoga professionally while you increase your knowledge and understanding of yoga and the core fundamentals of the healing hot 26+2 series. The Evolation Yoga hot yoga immersion training includes daily yoga and meditation with training materials, reading recommendations, lectures, study sessions, interactive discussions, teaching practice and group feedback included. We welcome trainees from all yoga schools, regardless of prior training, teaching experience or practice level. Evolation Yoga is a registered Yoga Alliance yoga school and our trainings are designed to empower fellow yogis looking to further expand and share their beloved yoga practice. After completing our 250 hour hot yoga teacher training, you will receive a RYT 200-Hour registration certificate through Yoga Alliance and you will be fully certified and prepared to teach the hot 26+2 series yoga classes. Our Early Bird Discount rate for this training $6,250 USD for shared lodging and $7,750 USD for private lodging. Save $500 USD on this training with our Early Bird Discount when you pay in full at least 90 days prior to the start of your training. In addition to the 31 days and 32 nights of dedicated hot yoga immersion teacher training provided with meals, overnight lodging accommodations and transportation, we have a whole list of specially planned group activities and travel excursions scheduled for this training in Pushkar. See full list of our included activities and group excursions below and send us a message to get your spot booked with us for this training. Now Accepting Applicants for Hot Yoga Teacher Trainings in Pushkar, India!